The vicious storm rewrote the record books, carving a path of destruction along the East Coast and claiming more than 100 lives. Sandy blacked out 8.1 million homes—power outages that affected people in 17 states, as far west as Michigan. To add to the turmoil, the costly storm caused a $25 billion loss in business activity, according to financial analysis firm IHS Global Insight. 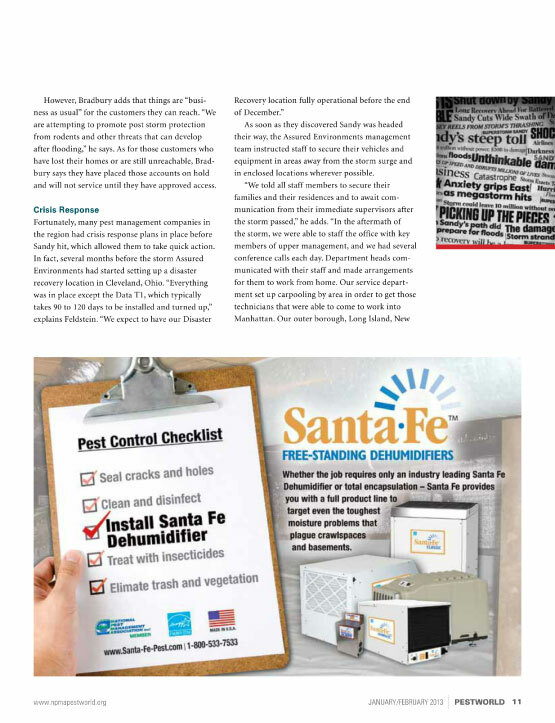 After Sandy plowed into the east coast, ravaging the region with major flooding, power outages and unfathomable structural damage, pest management companies certainly felt the crushing blow. 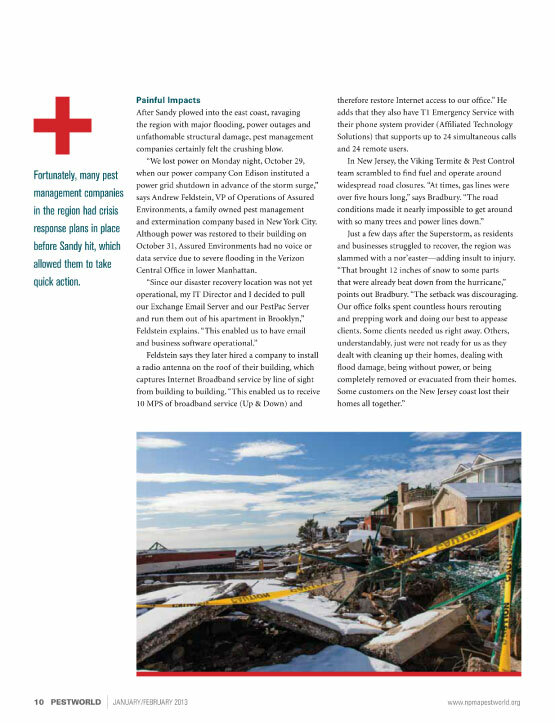 “We lost power on Monday night, October 29, when our power company Con Edison instituted a power grid shutdown in advance of the storm surge,” says Andrew Feldstein, VP of Operations of Assured Environments, a family owned pest management and extermination company based in New York City. 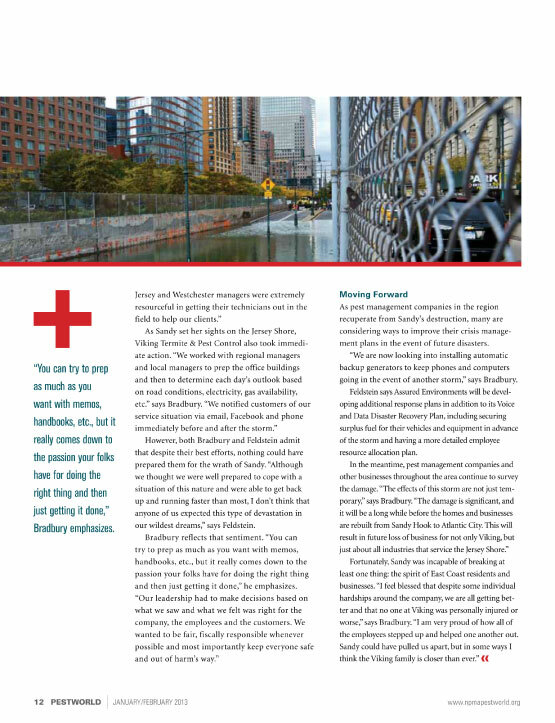 Although power was restored to their building on October 31, Assured Environments had no Voice or Data service due to severe flooding in the Verizon Central Office in lower Manhattan.